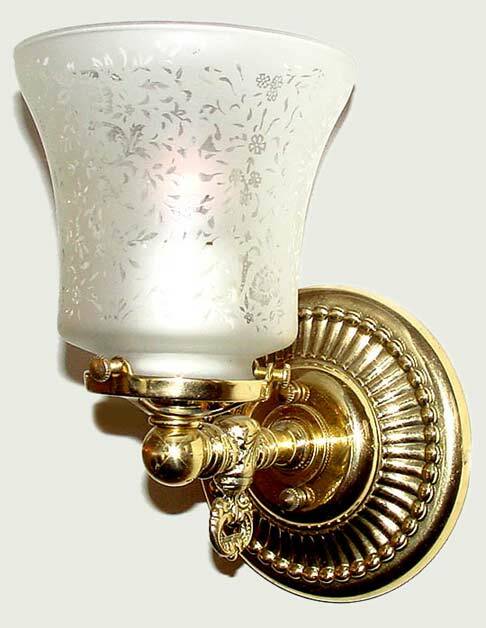 A simple yet elegant Colonial wall sconce with an etched floral pattern glass shade. Place this one anywhere, seriously. Perhaps a change in metal color might suit your exsiting decor better? Mount it up or down, in your bath, powder room, library, dining room and a shallow enough projection for the narrower hallway. Width 5 In. / Projection 7 In. / Depth 8 In.